Designed specifically to support ASC operations and workflow. SIS ASC management solutions streamline and improve administrative and clinical processes. Full physician and staff scheduling support with block management and conflict checking. 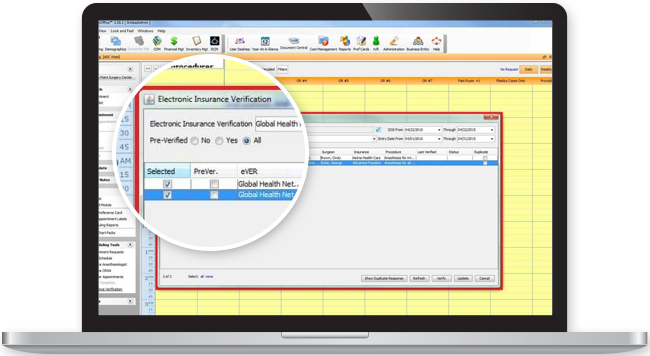 Full case scheduling and registration support with patient demographics, medical history, and insurance verification. Manage admission information, pre-admission questionnaires, department and staff times, and supplies. 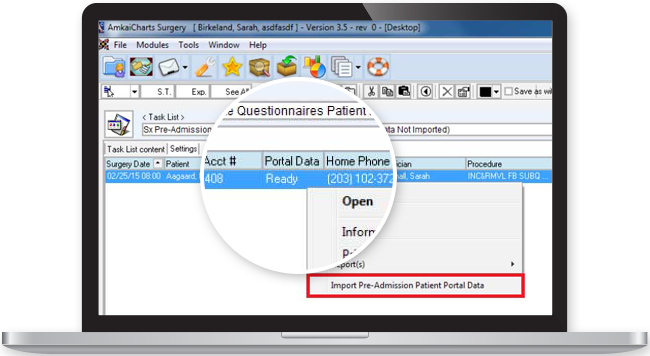 Import clinical information (quality indicators, start and stop times, and discharge information) directly from SIS Charts to complete coding and billing. Mange and resolve tasks directly from queue. Send secure messages directly within application. Create and assign tasks across the facility. View and manage all human resource information from single screen. Physician and staff credentialing and privileging support. Licensing and certification tracking and maintenance. Automated insurance verification and authorization. Charge capture, claim submission, payment posting, and processing support. Denial management support and automated account turnover. Single-screen patient account information including charges, payments, write-offs, transfers and overall financial account maintenance. Billable supplies and implants capture. Comprehensive item master and supply/resource tracking for up-to-date, accurate inventory levels. Case costing by individual case/case type, and by contract, supplies or procedure. Submit reports for accreditation, state and CMS surveys.